Stick a few dry aged beef patties between a potato roll, slather on the special sauce, and you're in a burger heaven -- especially after a long night of drinking. 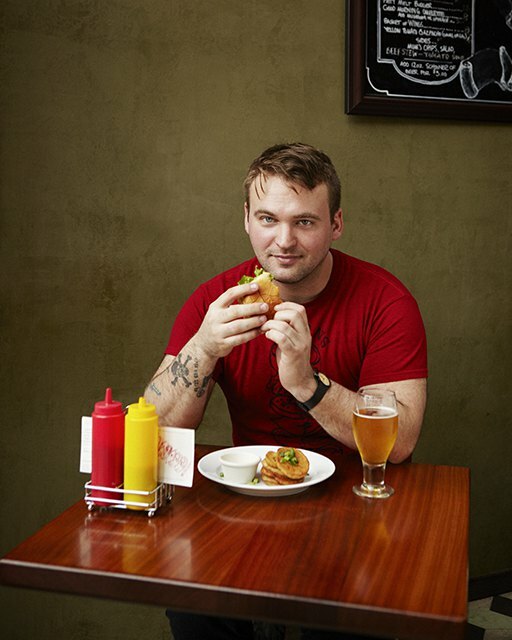 Former Marine Galen Duncan is on a mission to satiate Bushwick's late night palate with his venture, Duncan's Burgers serving delicious burgers during late nights at The Rookery and on the weekends at Shwick Market. Duncan's Burger was voted the second best burger in Bushwick by you, dear readers, in our recent Bushwick Burger Throwdown having occupied the first place for a couple of days. Galen says: "I, like everyone else, was on the hunt to find the best burger in New York City. So, I started Duncan's Burgers to fill what I discovered was a gap in the burger market." Sure, you can add a truffle oil to your burger but you'll be paying upwards of $15 at most restaurants; or you can settle on the $4 burger from your typical fast food chain created with low quality ingredients. Duncan's Burgers offers a solution that will leave you feeling satisfied -- an affordable and tasty burger crafted with high quality ingredients. After serving in the United States Marine Corps, Galen worked in numerous restaurants and bars. He became passionate about the food and beverage industry, which inspired him to attend hospitality management classes. During this program, Galen interned with Dickson's Farmstand Meats in Chelsea Market, where he spent three months learning about whole animal butchery and grinding meat for customers. What sets Duncan's Burgers apart is that the burgers are crafted from Dickson's grass-fed, dry aged beef raised locally in upstate New York. "These burgers are going to change the world," Galen states. By serving affordable, grass-fed burgers from a local farmer, Galen is supporting the local, organic movement instead of factory farming. Plus, he's making quality burgers accessible -- a classic style 1/8 pound hamburger is only $3.50 and the "Brooklyn Stack" is only $13.50, which includes three 1/8 pound meat patties. Galen views being an entrepreneur as helping others -- in this case, helping people realize where their food comes from and how to support quality food with their dollars. Not only can you feel good about purchasing Duncan's Burgers, but your tastebuds will thank you. Galen offers three different types of burger patties (regular, bacon patty and spicy patty) served on a Martin's Potato Roll and topped with special sauce. Plus, you can add a variety of toppings to your burger like New York sharp cheddar cheese, pickle, lettuce, tomato and onion. Burgers are served with a side of Galen's signature salt brined, waffle cut potato chips. Big plans are in store for Duncan's Burgers, including the addition of vegan options created with Monk's Meats. Galen also has been approved to start a food cart and plans to serve burgers in Williamsburg near McCarren Park. 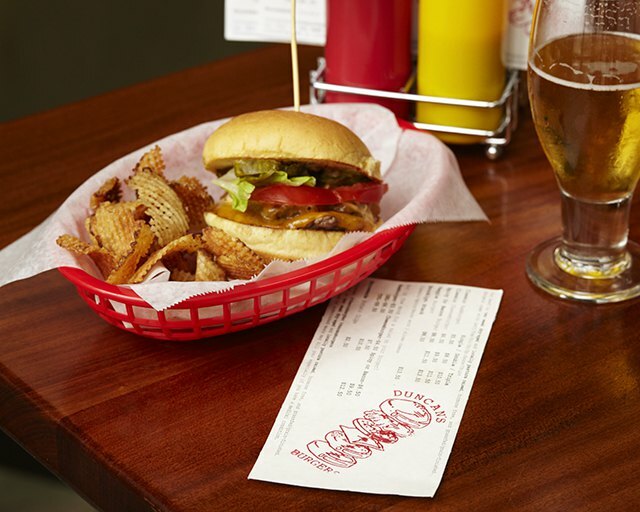 Plus, Duncan's Burgers will expand late night offerings to bars in Fort Greene. Burgers are just the beginning for Galen. He also plans to add something innovative and delicious to the New York City bar scene. Stay tuned for a Bushwick Daily exclusive!